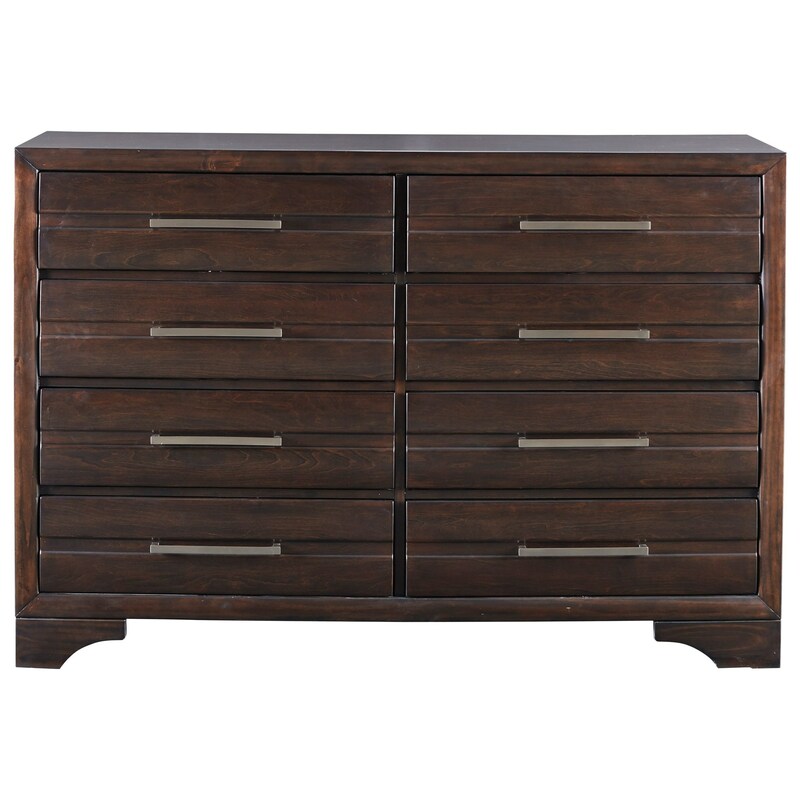 Sleek styling with raised panels contrasting with the recessed center with a drawer pull on each drawer add visual appeal to this dresser with eight drawers. 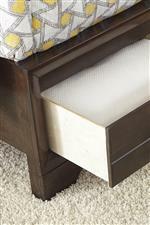 Constructed from engineered wood veneers and solid wood frames, the dresser is complete with dovetail drawer construction and bracket feet. 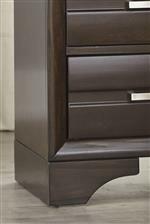 The Andriel Contemporary Dresser with 8 Drawers by Benchcraft at Miskelly Furniture in the Jackson, Pearl, Madison, Ridgeland, Flowood Mississippi area. Product availability may vary. Contact us for the most current availability on this product.